From all over America, from all over the world, we gather today for the blessings of running and rejoicing, for the blessings of diversity and freedom! We are different today! We are runners, we are walkers, we are wheelchairs. We are elite, we are not-so-elite – we are ordinary, and we are extraordinary. We are believers in God, and we are not believers in God. But, today, we are One. We believe in the Peachtree Road Race, and its ability to gather all sorts and conditions of humanity in blessing America on this Fourth of July. In the name of God, and in all the names of God, we bless each other in the Peachtree Road Race. Blessings to Muslims: Asalamu Aleikum! Blessings to Jews: Barukh atah Adonai, Eloheinu! Blessings to Christians: Jesus loves you! Benedicite Deus! To Hindus, to Buddhists, to atheists, to agnostics. God blesses each and every one of us. Dios les bendiga! May this Peachtree Road Race be safe and fun, may it be challenging and relaxing. May today be a holiday, a holy day, of blessing and grace, of vigor and energy! In the Name of God, and in all the Names of God – the God above us and the God beside us, the God at the starting line and the God at the finish line – we bless each other. In the running of the Peachtree Road Race today, in Atlanta, God bless all of America. AMEN. Often times, the non-profit that I work for, Atlanta Habitat for Humanity, is noted for its strong Christian roots in Americus, Georgia due to its founder, Millard Fuller. What people usually do not know of this is that Atlanta Habitat was founded south of Atlanta on Koinonia Farm— an intentionally mixed-race community that persisted during the middle of the Jim Crow era. In the 1940s, Koinonia Farm was a progressive community whose simple focus was to bring different races together and provide a space for them to work and live as equals. Fast forwarding 60 years later to my role at Atlanta Habitat, an affiliate of what is now Habitat for Humanity International; I see those roots and basic principles played out in our current religious climate. After 9-11, Atlanta Habitat saw the need to bring diverse religious congregations together to serve in a peaceful and meaningful way. Since 2002, Atlanta Habitat has built 10 interfaith houses; meaning, Atlanta Habitat has provided the space and opportunity for dozens of diverse congregations and interfaith groups to build a home in partnership. Atlanta Habitat provides a safe space where everyone can put their ‘faith into action’ and serve a greater good – building alongside a qualified and working family who will ultimately purchase an affordable home. In being a safe space for interfaith religious cooperation, there have been many growth opportunities in Atlanta that Atlanta Habitat has had the pleasure of witnessing. The Atlanta Interfaith Manifesto is just that, an opportunity to transform Atlanta through engaging and uniting. With the Atlanta Interfaith Manifesto’s goals being to advance interfaith cooperation, marshal religious diversity, and celebrate Atlanta’s diversity, I feel the concept that Millard Fuller lived out in the 1940’s, has re-grounded itself presently in Atlanta, with a focus on working across both racial and religious lines. It is exciting to see support grow for working across lines of differences to advance the common good. Atlanta Habitat is in support of the Atlanta Interfaith Manifesto and will continue to partner in order to advance interfaith harmony in our city. We will continue to work, build, and partner with organizations, individuals, and congregations to remind Atlanta – and beyond – that our similarities are much greater than our differences. Haley Hart is a social and civic advocate whose work passionately supports issues she cares deeply for: education and service opportunities across diverse religions and environmental sustainability. 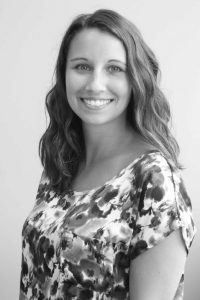 Currently, Haley serves as a Sponsorship Coordinator for Atlanta Habitat for Humanity, the sixth largest Habitat affiliate in the world which has been recognized as an ‘Affiliate of Distinction’. Haley’s team raises over $4 million dollars annually and she works directly with 70+ diverse faith groups where she facilitates opportunities for congregations to build together across racial, socio-economic, and faith identity boundaries. These efforts directly support Atlanta Habitat’s home-building programming. Haley serves on the Faith-Advisory Committee for Habitat for Humanity International where she shares her broad experience in helping to create programs and tools for other organizations faith and interfaith engagement programs. What distinguishes humans from other living beings is not primarily our wisdom but rather our ability to look toward the future. According to a New York Times article by psychology professor Martin Seligman and science columnist John Tierney, we ought to call ourselves Homo prospectus instead of Homo sapiens because human wisdom arises from our power of prospection. We are drawn to the future, they say, far more than we are driven by the past. This understanding of human life resonates with me as a Christian with a faith centered on future hope. Yet as a historian and professor of multifaith relations, I also believe that the way we speak about the past (and how accurately we remember it) matters for our visioning of the future. This is why I so deeply appreciate how the Atlanta Interfaith Manifesto points us back to our history as Americans and as Atlantans and then calls us into a common future. With the growing religious diversity in the United States and transnational networks of communication, trade, and travel that connect us to communities across the globe, our future promises to be full of interfaith encounters. The prospect of living alongside members of multiple religious traditions may seem new to some American Christians, especially those in rural areas like the Midwestern farming town where I grew up. Interreligious engagement, however, became an American reality long before anyone now living in the US could claim an American identity. Even before our Constitution enshrined religious freedom as a foundational right, the first Jewish synagogues were founded in the eighteenth-century American colonies. The earliest Buddhist temple in the US was erected in the 1850s, and our nation’s first documented Muslim communal prayer was held in North Dakota in 1900, although the Muslim presence in America dates to the colonial period. We have a multifaith past. Indeed, despite Euro-centric imaginings of the Western Christian story, our society has become what it is today through a long history of cultural interconnections, civilizational interdependence, and interreligious collaboration. Considering contemporary American conversations, it may be particularly helpful to note what we could learn from Islamic history. For example, the works of Greek philosophy and science that have so profoundly shaped Western culture were translated into Arabic and preserved in early-medieval Baghdad during the Abbasid Caliphate. This Muslim dynasty supported the city’s thriving translation movement and other pursuits of Muslim, Christian, and Jewish scholars. Along with developments in medicine, navigation, printing, and other technologies, these ancient Greek texts traveled through Muslim Spain into the Latin West, paving the way for the Renaissance and the Reformation. In Iberia itself until the late Middle Ages, Christians, Muslims, and Jews lived and worked together in an environment of convivencia, or coexistence. Although our modern conception of minority rights did not exist in these medieval societies, the level of religious tolerance under Islamic rule far surpassed anything one could find in Christian Europe at the time. For similar examples in more recent history, we might look to the Arab regions of the Ottoman Empire in the late-nineteenth century, where an ethos of intellectual exchange emerged among members of the Abrahamic faiths during the Nahda (modern Arab renaissance). In my research on this period, I have discovered that Arabic-speaking women in Ottoman Syria participated in these cultural currents by publishing books, articles, and poetry through the modern Arabic press. What I find particularly enlightening is that Christian and Jewish women authors claimed Arab-Islamic heritage as central to their own identities and spoke with pride in the achievements of Islamic civilization dating back to the Abbasid era. This common heritage also bound together the Syrian Christian and Muslim immigrants who arrived in the US in the decades before World War I. Muslims were the minority in the Arab American communities that grew in the Northeast and Midwest, but it is significant to note that this was the second wave of Muslim migration to the US and that it took place more than a century ago. The earliest wave consisted of West African Muslims forcibly brought here as slaves. Interfaith encounters are not a new reality in America or in Atlanta, as the Interfaith Manifesto reminds us. Religious diversity enriched the Civil Rights Movement in this city, and here today we have countless opportunities for building multifaith relations. For this reason, Atlanta is an ideal setting for training the next generation of interfaith leaders, which we seek to do at Emory University’s Candler School of Theology and at Georgia Tech, Candler’s partner in the Leadership and Multifaith Program (LAMP). Looking to the future, these young leaders – and all of us – can draw wisdom and inspiration from local and global histories. The stories I have highlighted of religious exchange in medieval Baghdad, in Islamic Iberia, in Ottoman Syria, and in our own nation’s history do not represent perfect models that we could fully replicate today. As we have seen too many times before, attempts to preserve or recreate the past usually end with one group’s imagined past becoming a source of oppression for others. Instead, we should allow history to teach us that interreligious cooperation is possible and is necessary for human flourishing. Then we will find the courage to take up the Atlanta Interfaith Manifesto’s challenge to stand against religious intolerance and marshal religious diversity in new and more fitting ways. Join me in answering this call to build a common future. Deanna Ferree Womack is Assistant Professor of History of Religions and Multifaith Relations at Emory University’s Candler School of Theology, where she teaches on Islam in America, Christian-Muslim relations, interfaith dialogue, and global religions. She also directs public programming for the Leadership and Multifaith Program (LAMP), a joint endeavor between Candler and the Ivan Allen College of Liberal Arts at Georgia Tech. 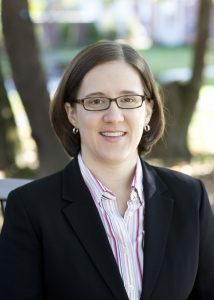 Womack is ordained as a minister in the Presbyterian Church (USA) and came to Candler from Princeton Theological Seminary, where she completed her PhD. Her research focuses on Christian-Muslim and American-Arab encounters in Ottoman Syria in the pre-World War I period. This time of year brings graduation celebrations across the many campuses of Atlanta’s higher education institutions. This year’s graduating class was born in either 1995 or 1996. The actual events on the fateful day of September 11, 2001 are well chiseled into their memory, but more than likely via replayed videos rather than through direct experience. These recent graduates were only five or six years old when the attacks — largely fueled by religious intolerance and inflicted on people of many faiths — occurred. The world these graduates grew up in has been marked by religious conflict, hatred, bigotry, and war. Several studies have found that many college-aged students believe religion to be the primary source of conflict in our world. They have grown up with images of “religious” people shouting, oppressing, and even killing those of similar and dissimilar faiths. The perception of faith as a great divider of individuals, groups, and countries is an easily supported and often reported “truth” in our newspapers today. The past few months have seen religion as a point of conflict become more prevalent in the American discourse. From calls to ban entry to certain religious groups to violent crimes committed in the name of faith — the headlines have too often screamed of religious conflict in our major events. Our young people see the world they are entering as adults as one filled with interfaith conflict and division. I continually find college-aged men and women I speak with confused with the current situation. Their personal experiences are at great odds with what they see on television. They are more comfortable talking about differences and exchanging ideas across religious lines than previous generations. They don’t “feel” faith as a divider among themselves. They have traveled extensively and have witnessed people in other contexts that paint a more complex, nuanced, and accommodating reality than the one they see in our media discourse. They are looking for a bridge between their reality and the perceptions they see reported around them. The Atlanta Interfaith Manifesto is that unique bridge they are yearning to find. A bridge between past and present that provides hope that others before them have tread difficult ground to build trust across divisive lines. A bridge between the founding documents of the United States and the current political climate. A bridge between people of faith who want to undertake inter-religious dialogue. A bridge between Atlanta and the broader world. My experience working to build and open the National Center for Civil and Human Rights in Downtown Atlanta showed me the powerful impact of stories. I was once asked by a Mom of two teenagers, “How am I supposed to get my kids to care about Civil Rights History?” I asked her if she had ever heard of Moses. She said, “of course.” I then asked her if she had ever met Moses. She looked at me skeptically and said, “No.” I then asked how she knew about Moses if she had never met him. She answered, “I know the story.” There was the answer — we care more deeply and remember longer when we know a great story. The Atlanta Interfaith Manifesto is a bridge to the stories that give us hope. The stories of Mayor Ivan Allen Jr. being willing to put principle ahead of politics. The stories of ministers working for equality against the wishes of prominent institutions. The stories of students praying and working for social equality and justice. The stories of a city that remains a beacon of national progress. Every person in Atlanta has an opportunity to share the Manifesto not as a directive, but as an invitation to share stories. I hope that each of us will find a few young people to share the stories of our past to inspire their future. There are thousands of young graduates with newly minted degrees who are thirsting for encouragement in building a world in the future that matches their experiences and hopes thus far in their lives. Let us be the bridges. 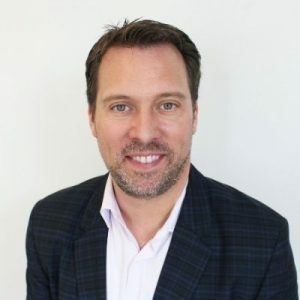 Doug Shipman is the Founding CEO of the National Center for Civil and Human Rights and is currently CEO of BrightHouse Consulting. He tweets @dougship. The Atlanta Interfaith Manifesto calls on all religious people to exercise the best of their sacred traditions to bolster the best of our nation’s constitutional principles and heritage. This is a particularly meaningful commitment for me, as it marries my two of my greatest lifelong passions: political science and the church. The daughter of a Methodist minister, I was raised in parishes throughout south Alabama and have been a denominational lay leader at state, national, and international levels since I was in high school, including representing The United Methodist Church on the World Council of Churches from 1975-2006. In school, I devoted myself to studies in political science, eventually earning a master’s and a Ph.D. with a specialty in international relations. When those words were written in the 18th century, they launched one of the greatest experiments in human history. This experiment in democracy and freedom was imperfectly imagined and implemented in the midst of slavery, the conquest of native peoples, and the formal disenfranchisement of men without property and all women. Yet the attempt by a collection of courageous and creative immigrants and their descendants to forge a radically new democratic political system in the United States was quite remarkable for its time and remains so today. As a Christian, I give thanks to God for this country and the privilege of living here. Many of the people who risked life and limb to migrate to the colonies and other parts of the continent in the 17th and 18th centuries were fleeing religious persecution. What is hard to believe today is that the religious persecution they were fleeing took place between various Christian groups, not between entirely different religions. In the 18th century, the differences among Protestants, Catholics, Episcopalians, Quakers, and other Christians were quite contentious and sometimes deadly. For reasons of principle, practicality, and peaceful coexistence, the Bill of Rights adopted in 1789 begins by guaranteeing a person’s right to hold religious beliefs and to exercise those beliefs freely. Part of the genius of the United States’ radical experiment in democracy was to reinforce emphatically that no religion would be established by the state and that each person would have religious freedom. Some of the founding fathers were deists, but others were what we now know as Episcopalians, Presbyterians, Congregationalists, Quakers, Lutherans, and Roman Catholics. For their time, their work together was an extraordinary effort in civic cooperation across deeply held religious differences. But as much as they understood significant and contentious differences among sacred traditions in their time, most of these men would be absolutely stunned by two developments in the 20th century: first, that Christians have worked hard to cooperate ecumenically and for the most part end their history of internal strife and at times even violence; and second, the growth of religious diversity in our country. In the late 20th century, the United States became one of the most multireligious countries in the world, primarily due to immigration. In the 21st century, residents in both urban and rural areas interact with and often live next door to people of faith traditions other than their own. Christians, Jews, Muslims, Hindus, Buddhists, Sikhs, Baha’is and other religious adherents are the doctors, lawyers, clerics, business people, computer programmers, educators, custodians, mechanics, and other professionals we encounter every day. Unlike any previous period in American history, people of many different religious commitments (or no faith commitment) go to work, schools, hospitals, recreational facilities, grocery stores and malls together, but they often don’t understand each other’s religious identity or communal practices. Even if surprised by such developments 228 years after they adopted the Bill of Rights, I suspect the founding fathers would be appropriately proud of how remarkably insightful they were to insist on a foundational principle of religious freedom. The Atlanta Interfaith Manifesto is an urgent call for those of us from a wide variety of religious traditions to get to know each other better for the common good of our neighborhoods, city, region, and nation. As dean of a seminary that educates students to be faithful and creative leaders for Christian ministries throughout the world, I could not be more delighted to support the Manifesto. Jesus Christ commands Christians to love God and neighbor—even neighbors who are very different from us. The founding fathers intended for us to honor religious freedom. And thanks be to God, the Atlanta Interfaith Manifesto embodies these two sets of values that I hold very dear. Join me in signing the Atlanta Interfaith Manifesto here. Jan Love, dean of Candler School of Theology at Emory University, is an internationally recognized leader in the church and theological education and a scholar of world politics, particularly issues of religion and politics, conflict transformation, and globalization. She is known for her four decades of dedicated leadership in denominational and ecumenical bodies and for facilitating constructive relationships among people and groups with deeply held differences. 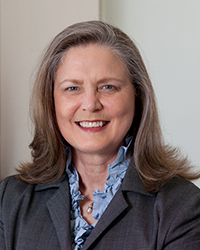 She is president of the Atlanta Theological Association, president of the Association of United Methodist Theological Schools, and a member of the board of the Association of Theological Schools.